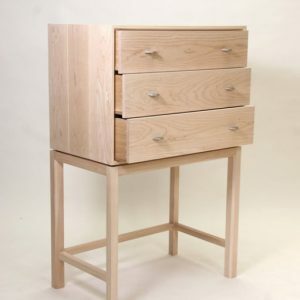 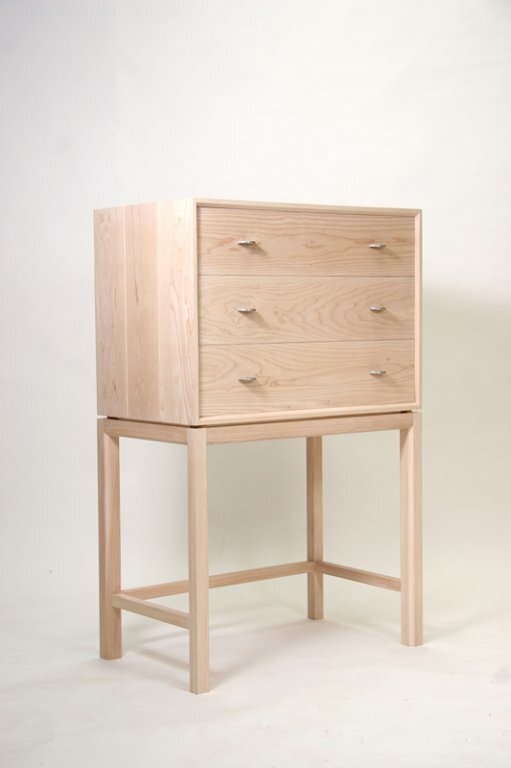 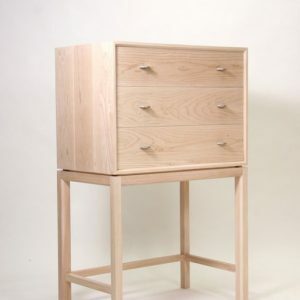 Description: A three drawer cabinet on a stand. 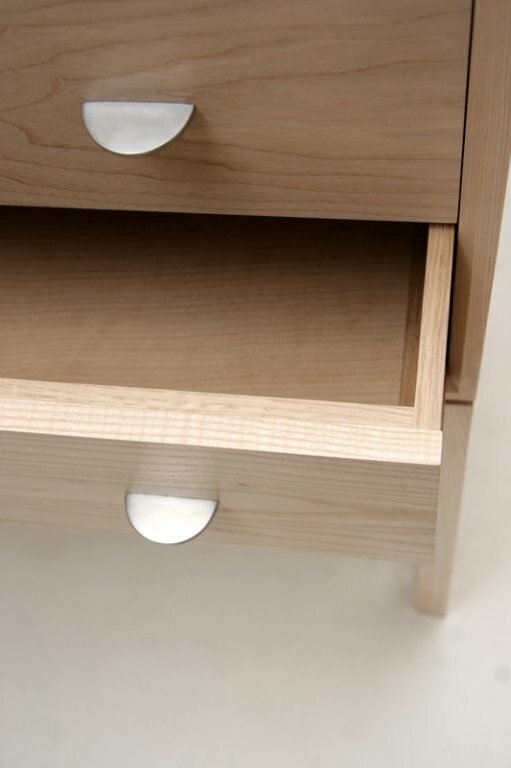 My client needed a set of drawers for her bedroom which could accommodate a small laundry basket underneath. 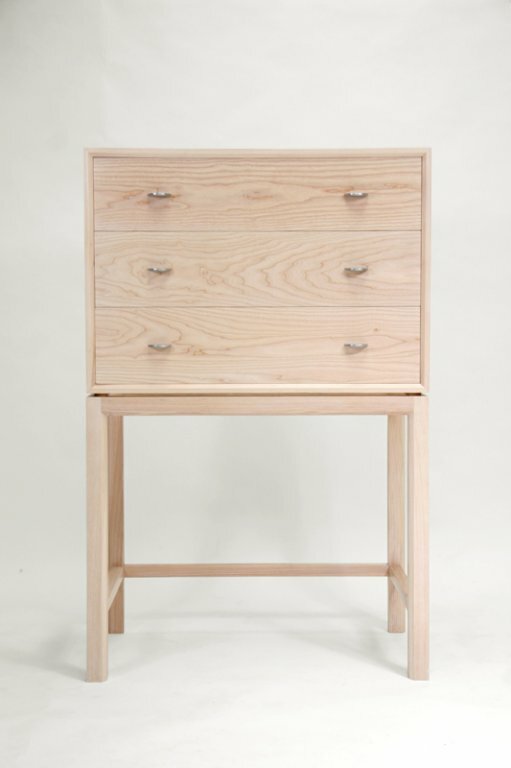 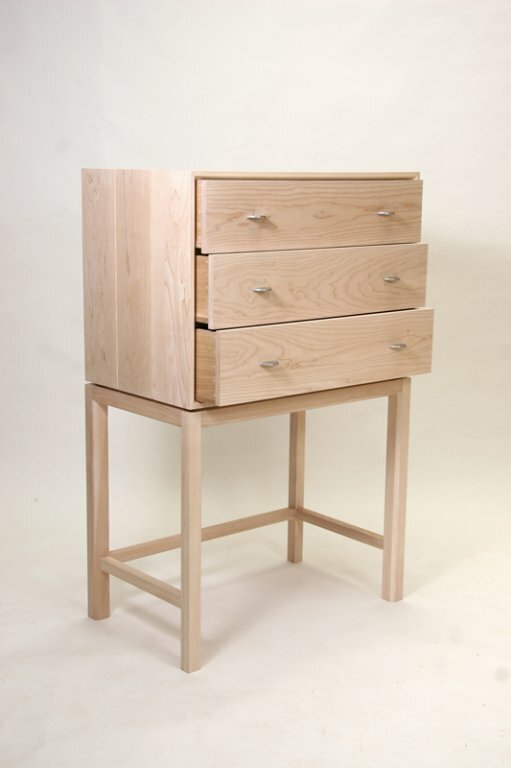 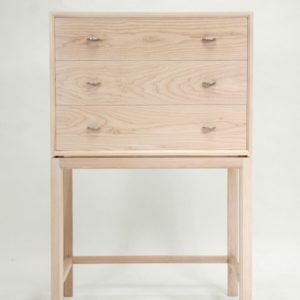 The drawers are generously deep and lined with the aromatic wood, cedar of Lebanon. 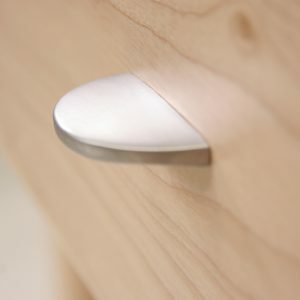 This not only acts a deterrent for moths but has a wonderful perfume. 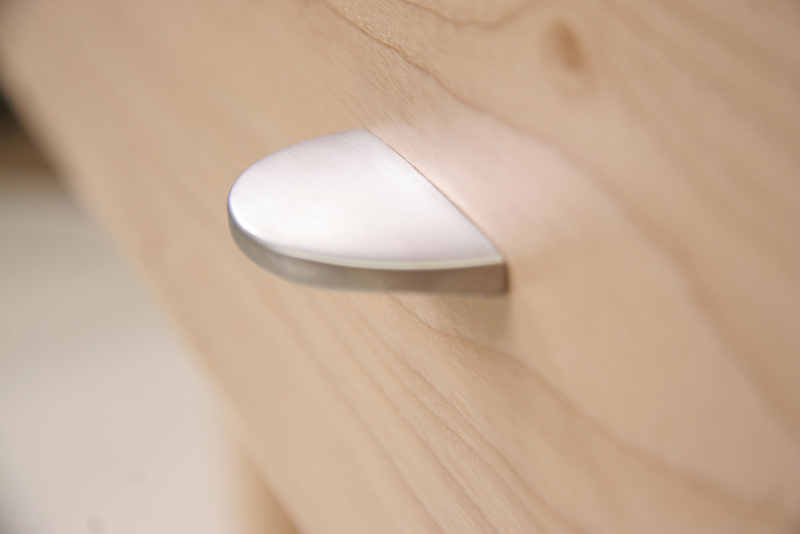 I custom designed the aluminium handles for the piece and had them cast locally by a traditional foundry. 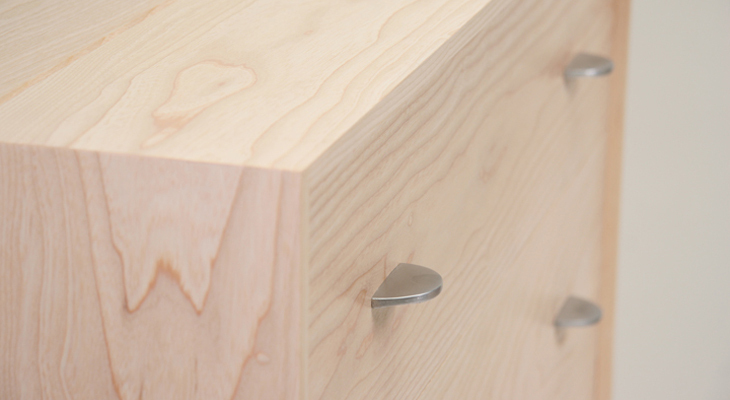 Materials: Ash, oak , cedar and aluminium. 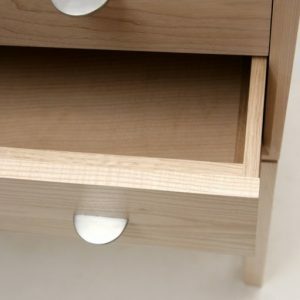 Finish: Tinted hard wax oil.